We Earned an Average of 11+% Annually. How Well Did You Do? When a bubble bursts, it doesn't happen slowly. It only takes a nanosecond. And, when an overheated stock market implodes, it will do so quickly as well. At 17,000 as of this writing, the stock market is more than likely near an unsustainable high. It's not too late to protect yourself; but you must take action now. Don't wait on the sidelines. There will be no early warning signal, just a big bite out of your net worth when the bubble bursts. Take advantage of the profits in the stock market the past four years and reallocate them into real wealth protection. We offer you a unique solution for wealth protection through Rare Tangible Assets. But, you can't sit back any longer. 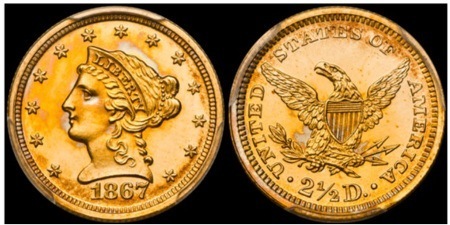 Rare coins are the assets to acquire now. 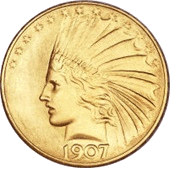 The ASI Rare Coin Program (RCP) allows you to participate in this extraordinary wealth builder, even if you don't know the first thing about rare coins, or have made mistakes in the past with rare coin selection. This strategy is perfect to protect and grow your personal wealth, add value to future generations as a legacy item and to secure and prepare for the growth of your company through a profit sharing plan. ASI uses the RCP in our own profit sharing plan. Take a look at your business' plan to see if you can add value through the Rare Coin Program. Before I reveal how the program works, let's see how rare coins perform as a growth investment. They give this incredibly bullish stock market a run for the money. Will you be the fortunate one to buy a coin that shoots into the millions? You never know. But, even if you don't, I'm sure you'll agree an average annual growth of over 11% for the last 15 years is very attractive. Note this steady growth was gained regardless of the fate of the stock market, the economic environment or world events. 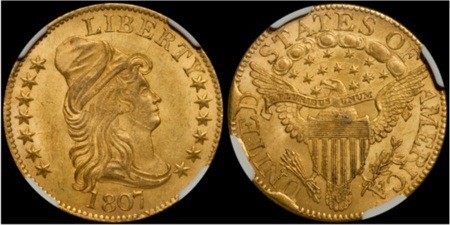 The factors that usually dictate investment prices simply have no effect on the prices of rare coins. The rare coin market dances only to the drum beaten by collectors. So if the bubble bursts, your rare coins are the portfolio diversity you need to protect your wealth. Neither the price of oil, Chinese trade policy, Fed money policy nor the skyrocketing national debt make a bit of difference with regard to the value of your rare coin portfolio. Very wealthy investors understand this. It's a sector in which celebrities, pundits and politicians invest, including Paul McCartney, FDR, Tony Blair, Nicole Kidman, John Quincy Adams and Wayne Gretsky, to name just a few. Since the Rare Coin Program began, we have provided our clients with hundreds of the most beautiful and collectible rare coins in the world. One of our clients, a Chinese-American dentist, has amassed wealth in tangibles ever since he established himself in the U.S., after fleeing China. He revealed to me his tangible holdings are worth 40 times the value of his dental practice. He owns precious metals, rare coins and some Chinese art. He comes from a culture that respects tangibles as the only way to overcome bad government, bad economic policy and a draconian regime. If we ever needed such an asset in our lifetime, because of our political and economic climate, we need it now. Are you ready to get ahead of the pack? Do you want to bolster your portfolio so your net worth is protected when the bubble bursts? If so, call us at 877-340-0790 for a one-on-one explanation of the Rare Coin Program as it relates to you. The Rare Coin Program gives you what was seldom, if ever, available before. When you enter the ASI Rare Coin Program, you are in for a truly fascinating experience. It all starts with a discussion of your goals with one of our experienced Preferred Client Relations representatives. We are not on commission. Our goal is to help you do what is best for your portfolio. 2. we never sell you our inventory. That's why, once goals are established, we give our expert Douglas Winter the go ahead to personally handcraft your portfolio. Now, let's get back to those million dollar coins. 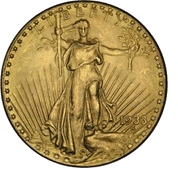 Doug is the acknowledged world leader in pre-1933 U.S. rare gold coins. He understands what collectors seek in a rare coin. It takes a lifetime of expertise to find rare coins with hidden value on a regular basis. Doug has that expertise. Check out his stellar credentials here. Call 877-340-0790 and have Doug start to work on a portfolio for you. Still not convinced rare coin investing is for you? Our Rare Coin Program creates extra value for your portfolio through smart strategies. A rare coin might be worth much more than its sale price, if you know how to look. Coins are graded: the higher the grade, the more expensive the coin. Doug often knows that certain coins are under-graded; they're very close in color, quality and rarity to the next step up in grade. Yet, the coin costs far less than the next grade up. He also knows collectors will pay a higher price than being asked, especially when the higher grade has an overly steep premium. Every one of our clients who have participated in the RCP have been so pleased, they told me personally they want to buy again. Expert selling is part of our Rare Coin Program. Without our expertise on your side, it's difficult to buy right; but it can be even more difficult to sell right. That's why the RCP is the perfect program. Just call us when you're ready to sell one coin, or your entire portfolio. We go into immediate sales mode on your behalf. Collectors know Doug selects the best, and they trust his inventory when he sells. Doug knows who's bidding at auctions and buying at rare coin shows. He invites potential buyers to see his sale inventory. A small portfolio gains stature because of Doug's reputation, know-how and contacts. 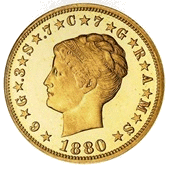 While many other coin buyers will offer to sell your coins on consignment over a few months or put them in an auction, we will typically offer you an outright buy price for your coin. No having to wait for liquidation. 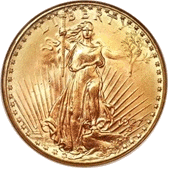 Many of our clients have already tried and failed to create a moneymaking rare coin portfolio. Perhaps you are one of them. If so, don't sour on this important asset because you didn't hit the bull's eye. With the RCP, you will have the experts in your corner... on your team. 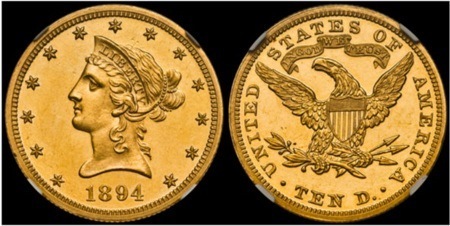 Let us evaluate any rare coins you own and create a winning portfolio for you. If this is your first foray into rare coins, start with a call to a Preferred Client Relations representative and discuss your goals. We make it very easy for you to enter the RCP with minimums of $10,000 to start. You must act now by calling 877-340-0790 to Keep What's Yours. When that bubble bursts, there's going to be an avalanche of demand for precious metals, and rare coins will be part of the flow. Don't wait for the demand curve to rise and rare coin prices to jump up. Act now; before you are faced with a jolting stock market pull back - while we can still get you the best rare coins for less.